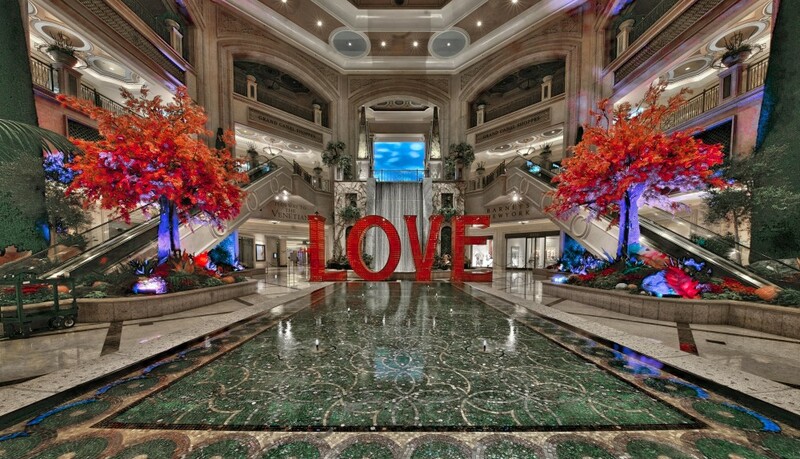 The Venetian Las Vegas presents LOVE, a larger than life installation in the Waterfall Atrium. Created by celebrated artist Laura Kimpton as part of her Monumental Word Series, the installation, perforated with bird-shaped stamps, spells LOVE in steel Ruby red letters that rise 12 feet tall and collectively span 36 feet across. Kimpton, who is known for her mixed media installations and sculpture, rose to distinction thanks to her large-scale art that first debuted at the 2009 Burning Man festival in Black Rock, Nevada. She draws from her desire to question traditional views on social interaction, invoking through her art a reaction and discussion which ultimately completes her projects. 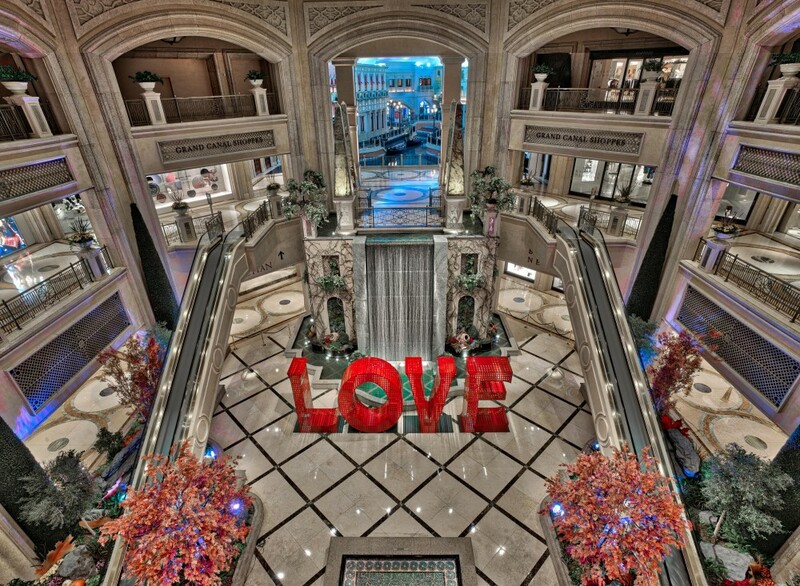 “LOVE” is one piece from Kimpton’s Monumental Word Series.